Do you have Property Damage in Greenville NC? Getting a low estimate from your insurance company? 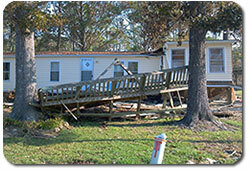 Think you should be getting a lot more from your property damage claim in NC? Not sure what Public Adjuster Greenville NC Services can do for you? Our Public Adjuster Greenville NC services provide for NC homeowners with fire damage, tornado damage, flood damage, wind damage and any other source of damage to your home or commercial property. We have been providing NC Public Adjuster services ranging from simple property damage claim reviews, contractor estimates, on up to the full evaluation and submittal of your NC property damage claim. Whether your home got damaged by wind, fire, falling trees or flooding, we have handled claims like yours before. We know what you’re going to be going through with your insurance company and we’re here to help. Public Adjuster Greenville NC services bring a full background in construction and insurance to the table for you. If there’s anything to be known about a house, commercial property or general structure, our local Greenville Public Adjuster knows it – he’s built them all before. Because we’re local, our local Greenville Public Adjuster knows prices in the area, local building codes, general building quality and understands your expectations. From being able to accurately estimate your property damage claim on a complete loss from house fire damage to being able to estimate water damage from a washing machine gone haywire and flooding the house, our local Public Adjuster Greenville NC service people know the things to include in your NC property damage claim. What other property damage claim types affect Greenville North Carolina? There are many ways to that property damage occurs in Greenville NC. The most catastrophic ones are hurricanes and flooding. Hurricane damage ends up usually with wind damage and flood damage, but short of large scale catastrophic damage, we see a lot of house fire damage. Fire damage in Greenville NC occurs in all seasons and at any time and can be devastating to a property. From something smaller like a kitchen fire that only causes damage in one primary area to something completely devastating such as a whole house fire, our Public Adjuster Greenville NC services are here to help you get what you deserve in your property damage claim in NC. We’ll be honest – you’re probably going to get a lowball estimate on your insurance claim. We know it, and if you don’t already, you probably will soon enough. You’re going to get an estimate from the insurance company claims adjuster – and it’s probably going to be missing a number of things. If you know what things that should be included in that NC property damage claim, you may do better, but truthfully, it’s not the claims adjuster’s responsibility to tell you about all those things or to really help you through the process. It’s YOUR responsibility to get everything into that NC property damage claim. And it can be confusing, frustrating and just downright tedious unless you do it all the time. Most of us haven’t. And that’s why we provide Public Adjuster Greenville NC services for you. Why Call in Public Adjuster Greenville NC services? Why? Because we’ll be working for YOU. You’ll get a pleasant visit from the insurance claims adjuster and it’s going to sound great – until you see the final estimate. And the smile is going to disappear when you realize that the estimate is NOT enough to cover all those rebuilding expenses or get your life back to normal. Public Adjuster Greenville NC services provide you with the knowledge and experience to get you a FAIR and EQUITABLE settlement for your Greenville NC property damage claim. We do all the digging, we do all the counting and estimating – and we do it everyday. We know what to look for in your property damage losses. The things that the insurance claims adjuster will likely miss – the places that they’re likely to lowball your estimate, the estimated costs to rebuild something that will likely be low. We make sure you get a FAIR property damage estimate in with proper documentation and we’ll back it up when the insurance company balks or tries to drag it out. We’re there to deal with the insurance company on YOUR behalf. They’ve got professionals looking out for them – don’t you deserve the same kind of quality, top notch professionals on YOUR side? We GET results. 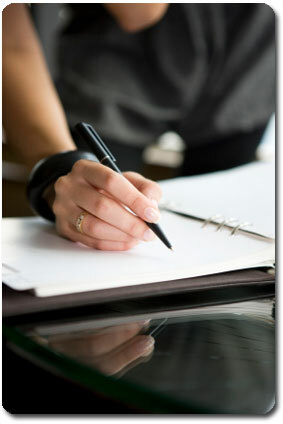 Have you been denied insurance claim coverage? We can help you EVEN IF YOUR NC PROPERTY DAMAGE CLAIM HAS BEEN DENIED – see our FAQs for some real life cases. And we will get your claim approved a SOLID majority of the time in your favor. This can be really crucial when it’s time to get your life back to normal. When it’s something as important as your life and your home, having your own representative in any Greenville damage claims process can and does make a big difference. You need professional and experienced NC Public Adjusters to deal with your insurance company. We are American Property Loss’ local Greenville NC Public Adjusters – and we’re here for YOU. Call now for your free assessment or claim review to get the ball rolling and get your NC property damage claim BACK ON TRACK!